Reliable Roofing is a trusted commercial roofing contractor that has long provided roof maintenance, repair, and installation services for businesses in Crystal Lake, IL and the surrounding north Chicago suburbs. Our company started with a staff of only 6 technicians and we have since grown to become one of the most trusted roofers in the area with over 40 highly trained full-time technicians. Our technicians are each licensed and bonded to provide commercial roofing services in the state of Illinois, and our work is insured for up to $10 million. Reliable Roofing provides complete commercial roofing services that include roof repair, roof maintenance, and installation. 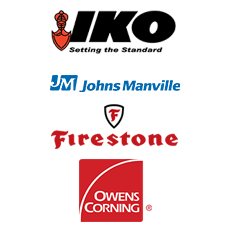 We are committed to handling every aspect of commercial roofing and we have formed professional relationships with the top manufacturers of the roofing industry to ensure that we provide the best available products. As a member of the National Roofing Contractors Association (NRCA), we work with honesty and integrity to come up with ethical and cost-effective solutions that will bring you peace of mind. You can contact Reliable Roofing at (815) 981-9801 to learn more or to get a free estimate for our commercial roofing services in Crystal Lake, IL. The roof of a commercial building has the important job of keeping the building protected from the elements. When the roof springs a leak or experiences damage from adverse weather conditions, animals, or other factors, it may lose its ability to keep your building adequately protected. Much of the damage that occurs to a commercial roof will only get worse if it is not addressed, leading to much bigger problems such as water damage and structural issues. 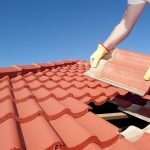 Reliable Roofing provides complete roof repair services for commercial roofing in Crystal Lake, IL. Our technicians can effectively repair damage and leaks to your roof to help preserve its integrity and extend its life. Commercial roofing is built to last for years but if it is not regularly inspected and maintained, it may experience significant damage or deterioration that drastically shortens its life. All roofing systems are vulnerable to leaks, light damage, and wear and tear that will turn into expensive problems without quick action. Having your roof regularly inspected and maintained will help uncover these problems early and take the steps needed to keep your roof in good repair. Reliable Roofing provides complete roof maintenance services for commercial roofing Crystal Lake, IL. 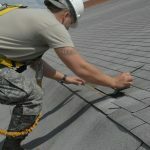 We offer a Roof Maintenance Program that includes regular inspections as well as repair cost analysis and maintenance schedules to help prolong the life of your roof. The roof of a store, office, warehouse, school, or healthcare facility plays an important role in not only protecting your assets, but the people within as well. Any problem that arises with your commercial roofing is a direct threat to your business and must be dealt with before the problem gets worse and results in expensive damage. 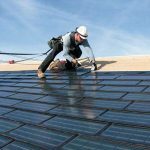 Reliable Roofing is one of the most trusted commercial roofing contractors in the north Chicago suburbs and we provide complete commercial roofing services for businesses and organizations in Crystal Lake, IL. Our technicians can handle any commercial roofing service from repairs and general maintenance up to installations and full replacement. For any of the commercial roofing services in the Crystal Lake, IL mentioned above, call Reliable Roofing at (815) 981-9801. Licensed and insured up $10 million.